We’ve got the freshest, most eye-popping, one-of-a-kind award for your volleyball team and players. What would be better than creating a personalized photo volleyball award. 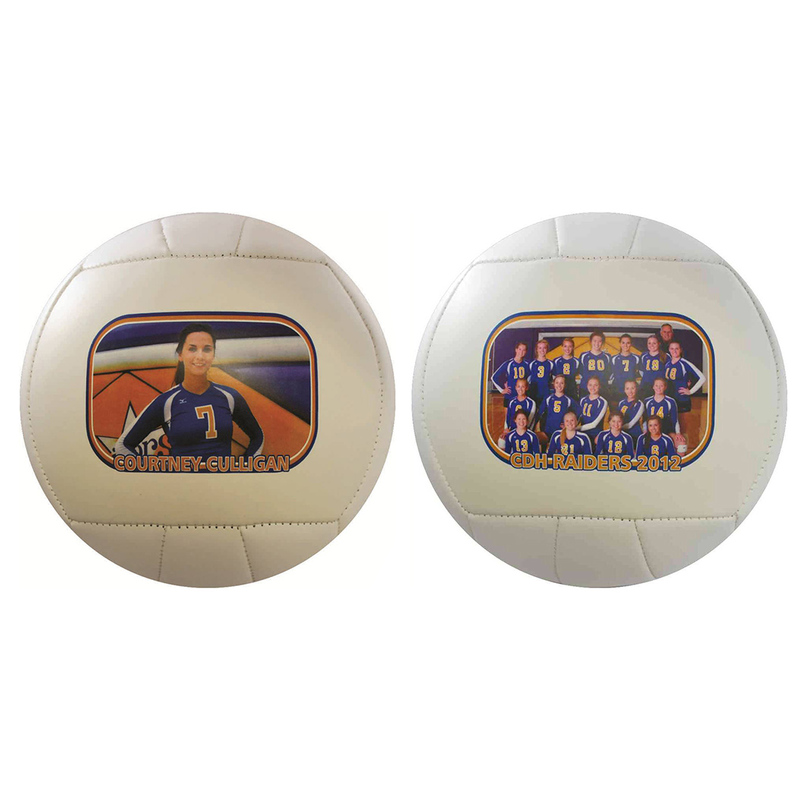 Using two, opposing sides of the volleyball, we create lasting images of your season by printing high resolution digital photos, graphics, and text with your squad in mind. 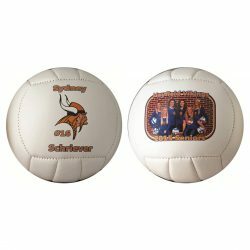 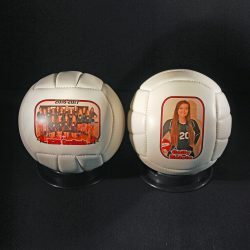 This photo volleyball is your canvas and we will help design your unique awards for free. 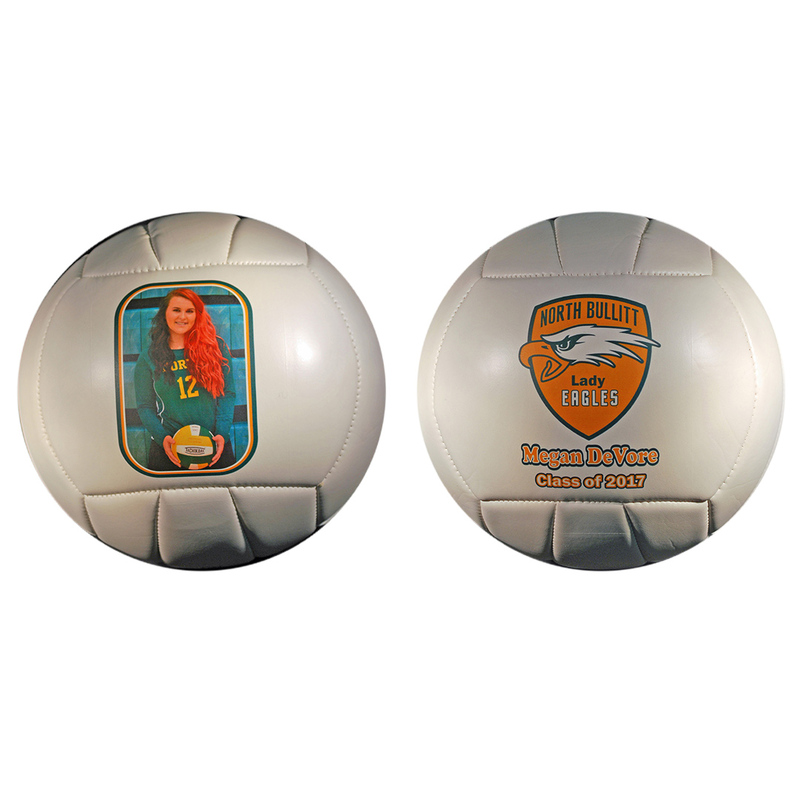 With two times more space to print than our other personalized photo sports balls, go wild with your ideas and let us know. 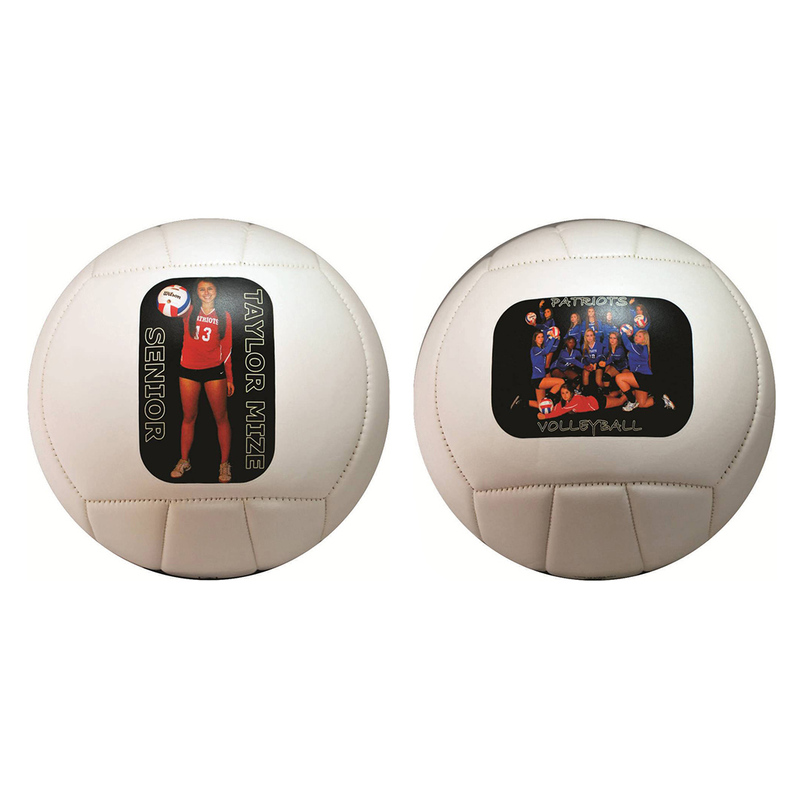 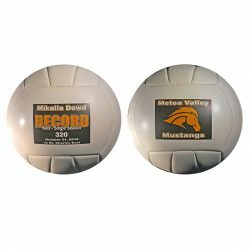 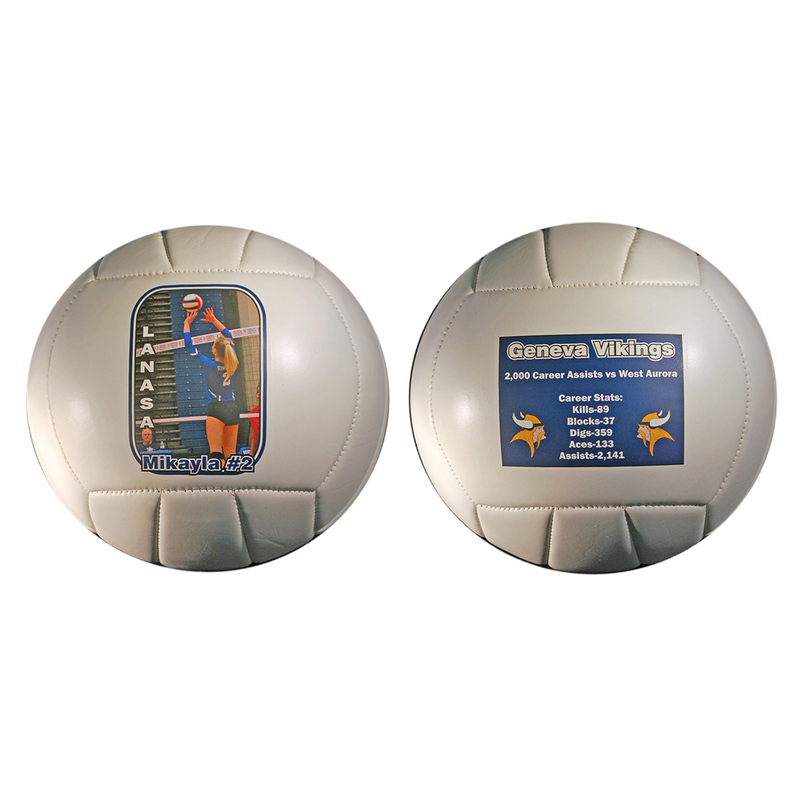 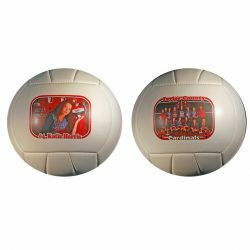 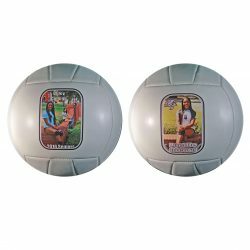 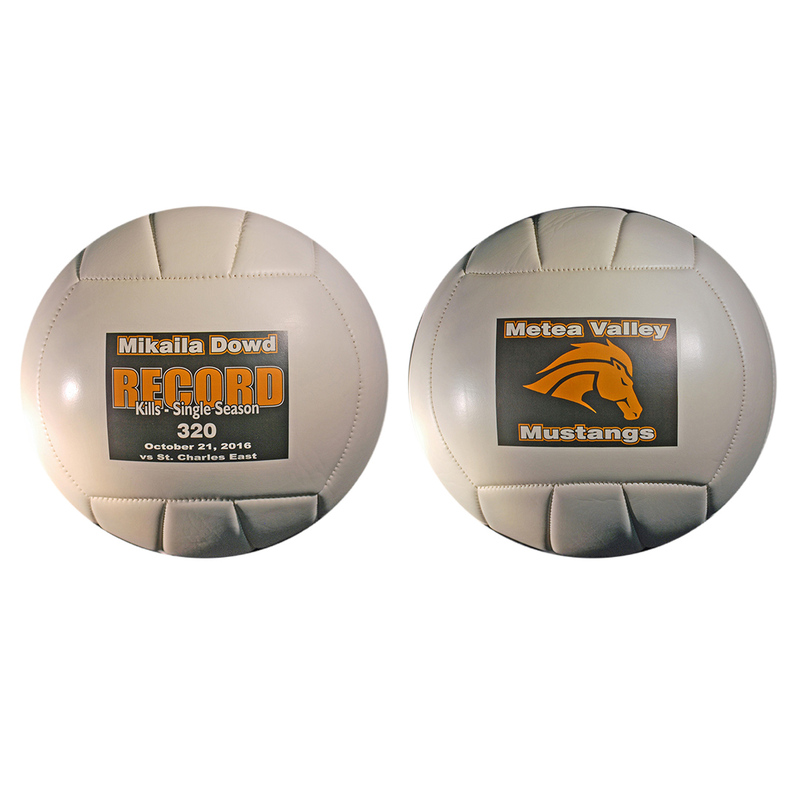 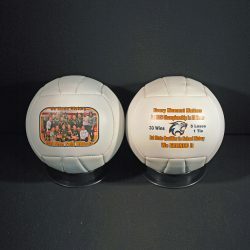 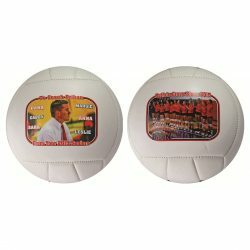 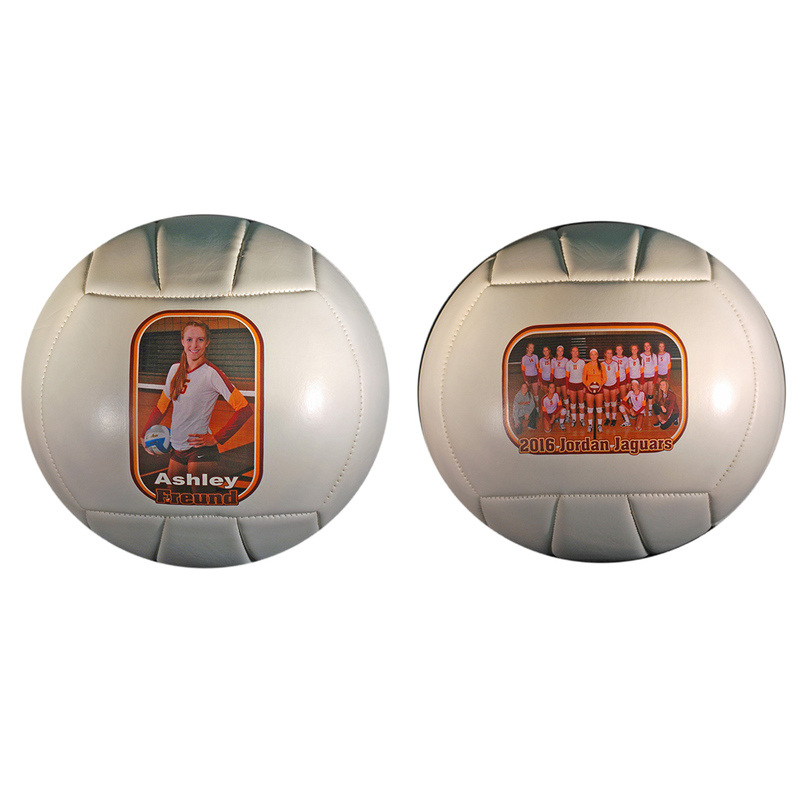 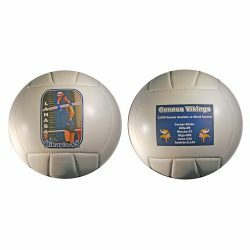 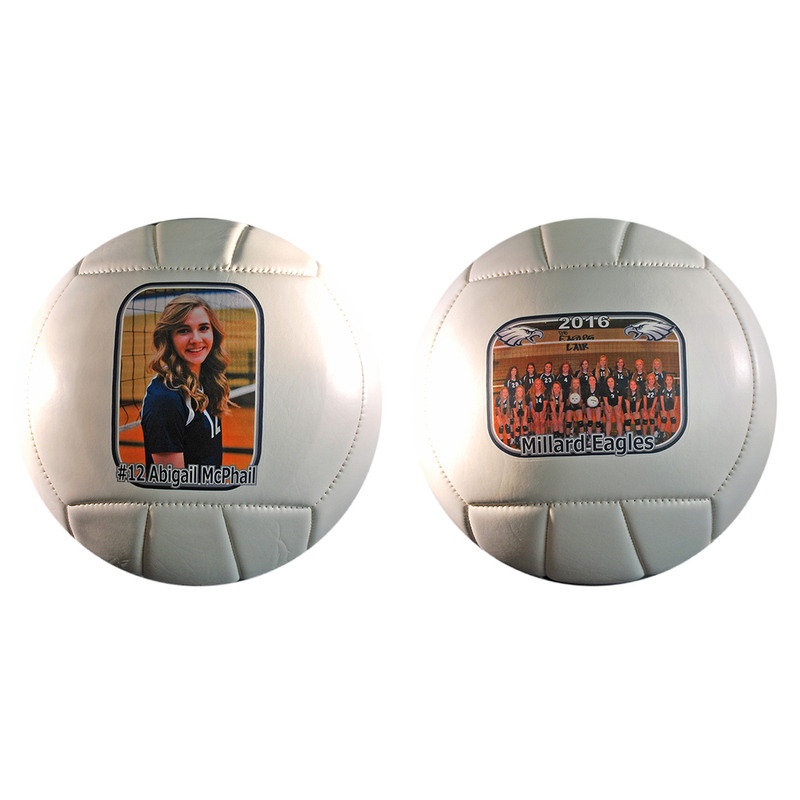 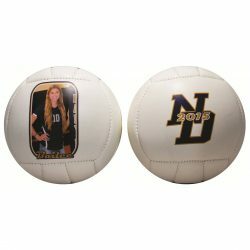 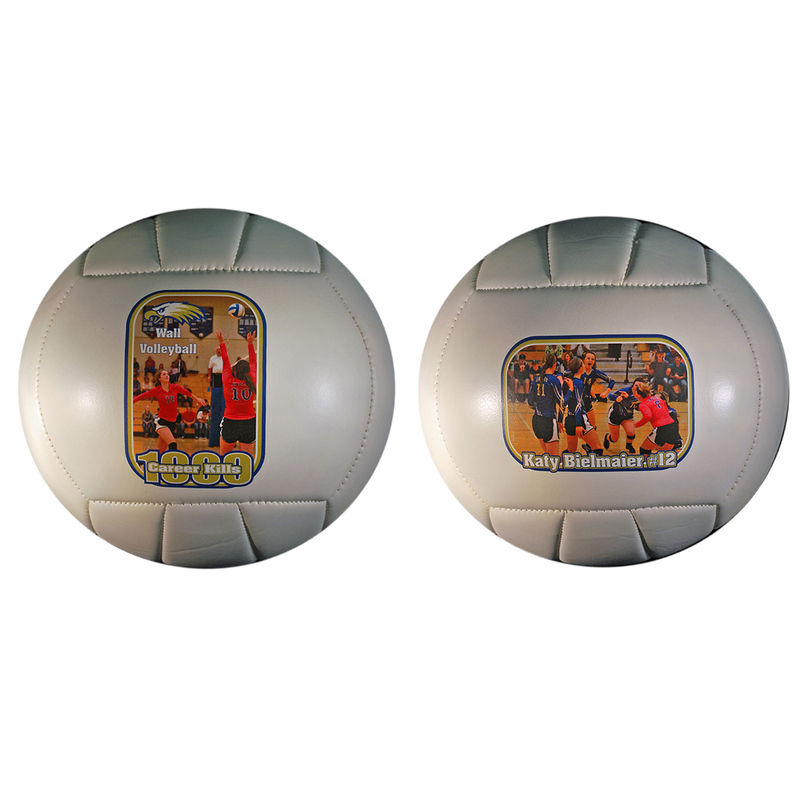 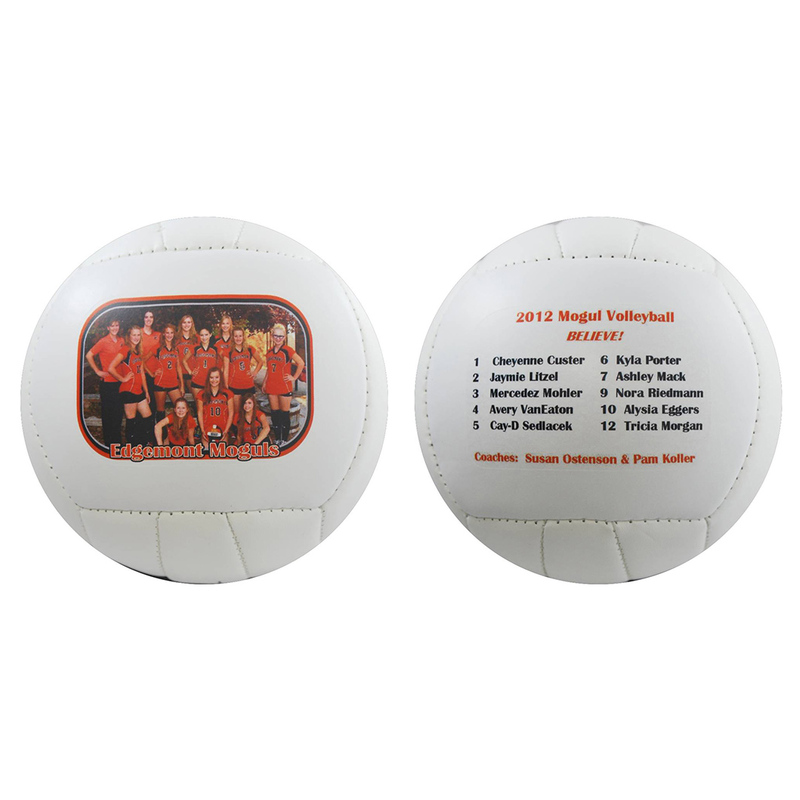 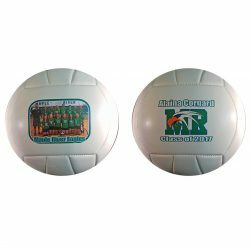 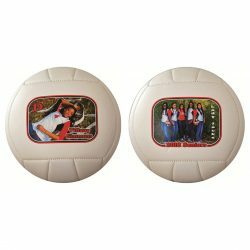 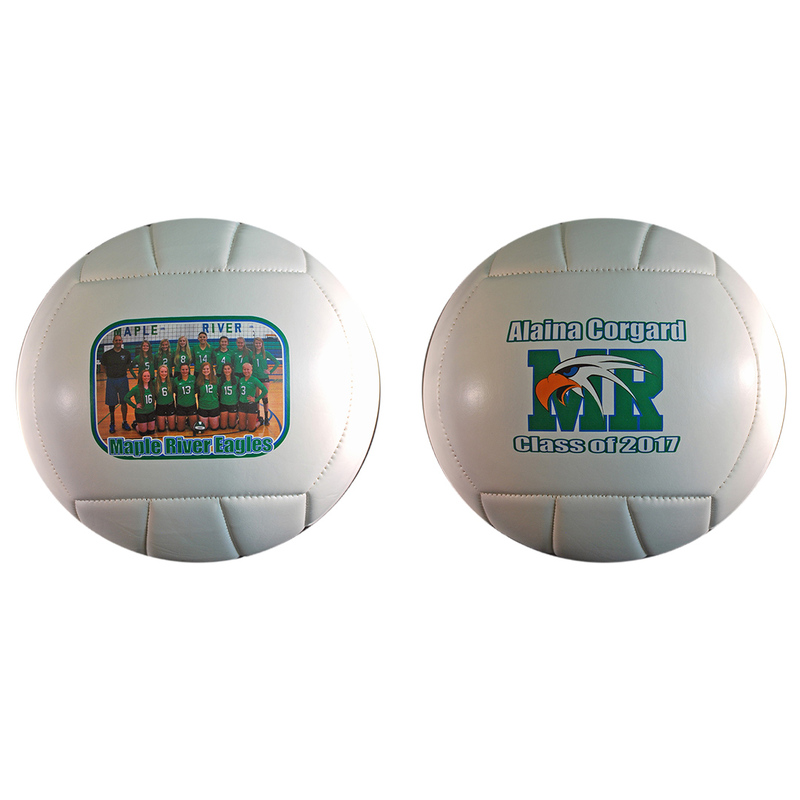 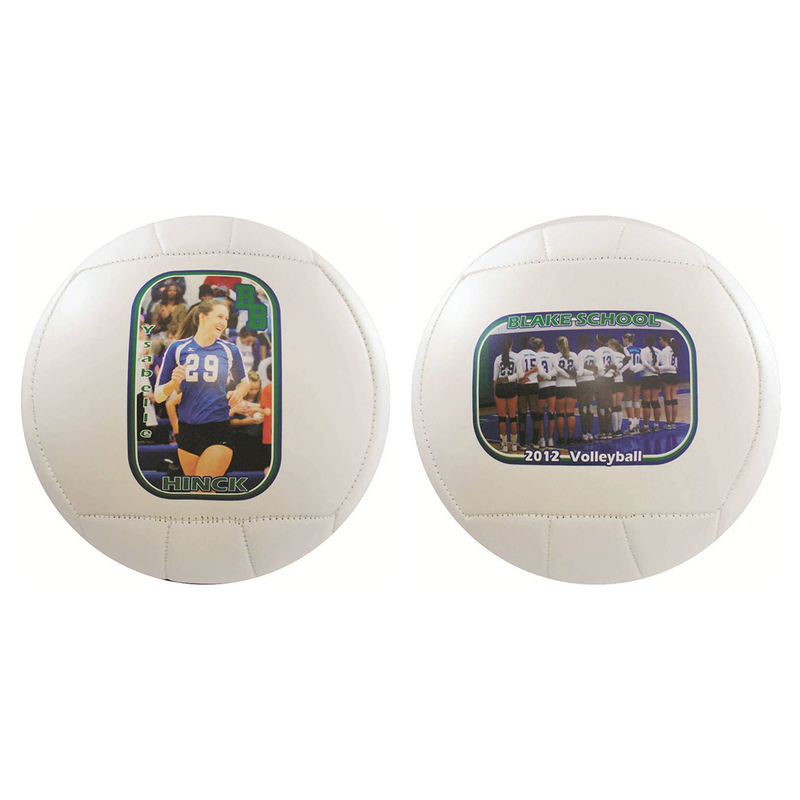 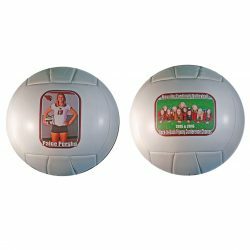 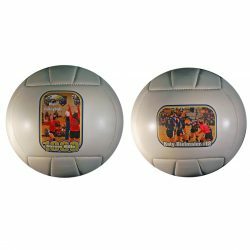 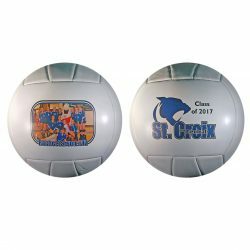 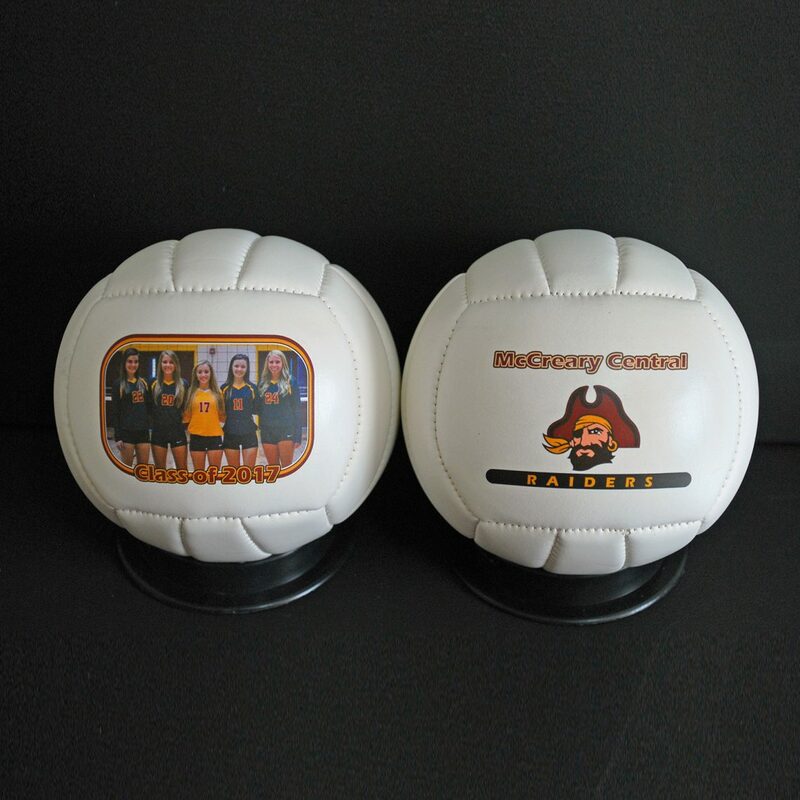 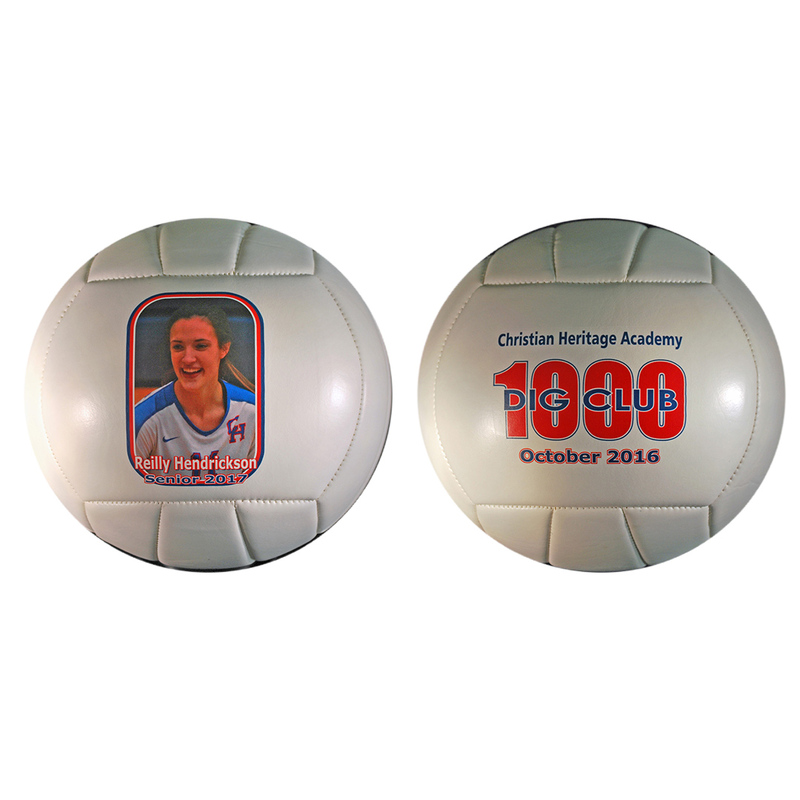 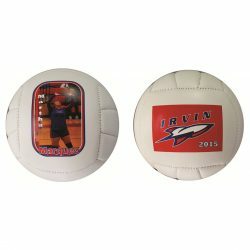 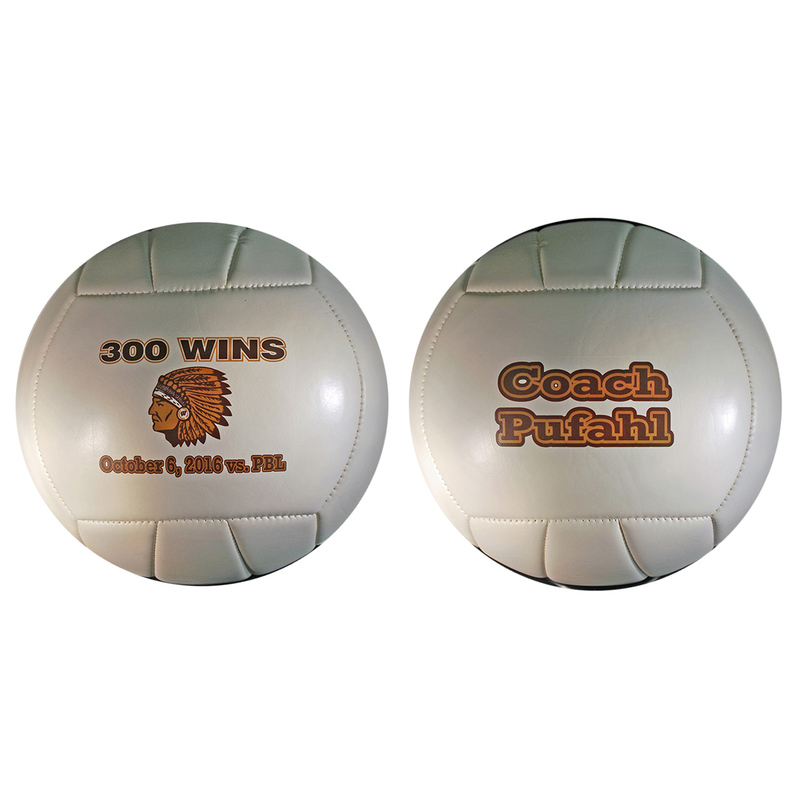 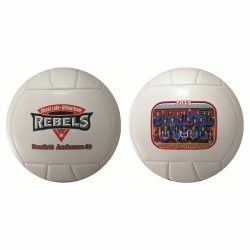 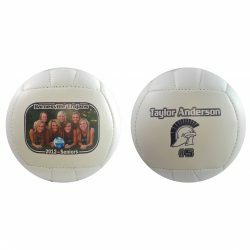 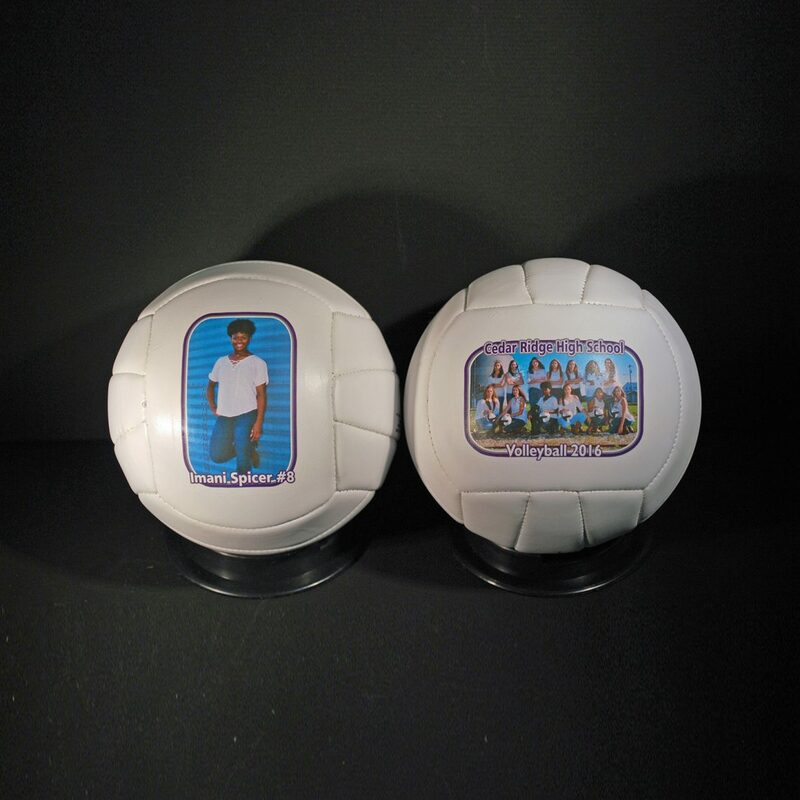 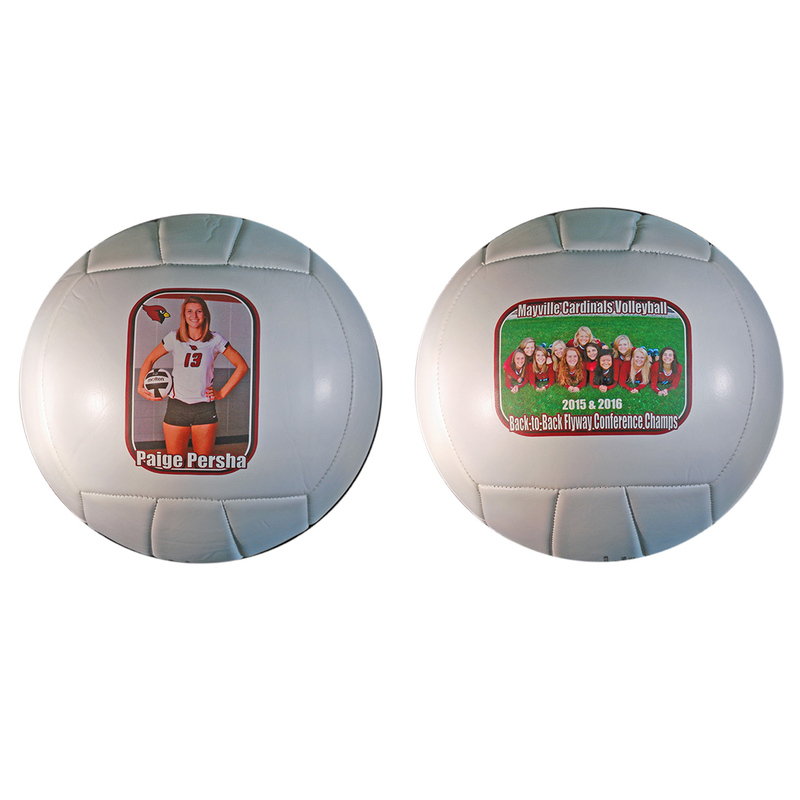 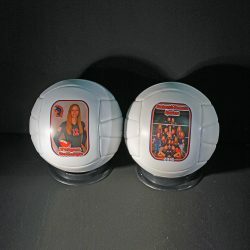 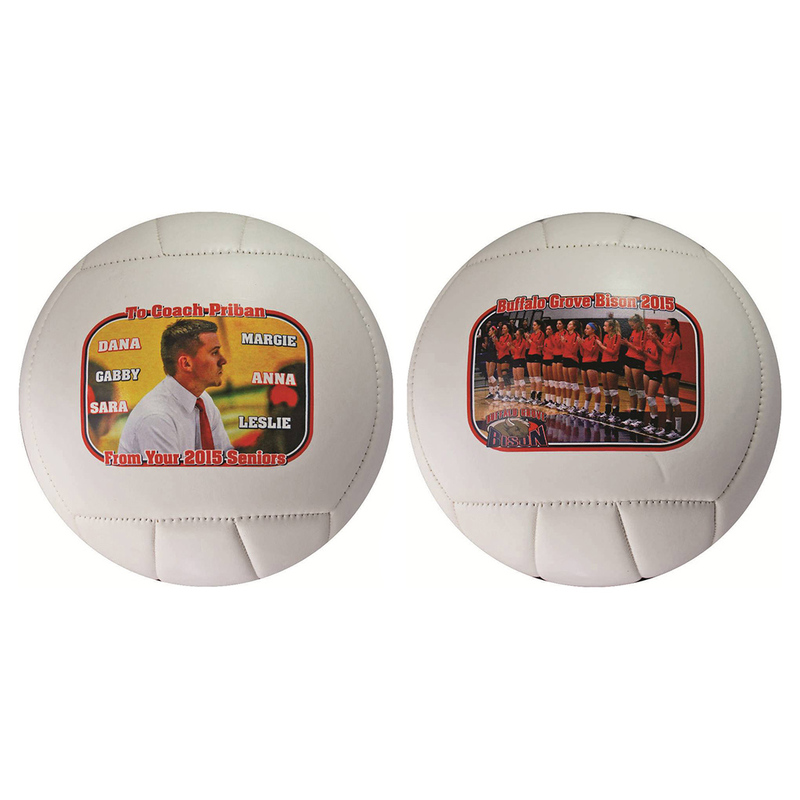 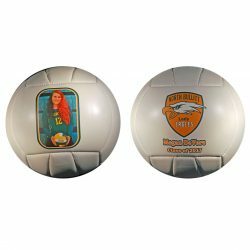 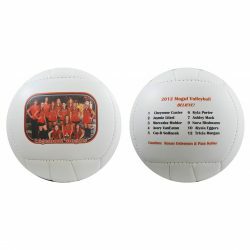 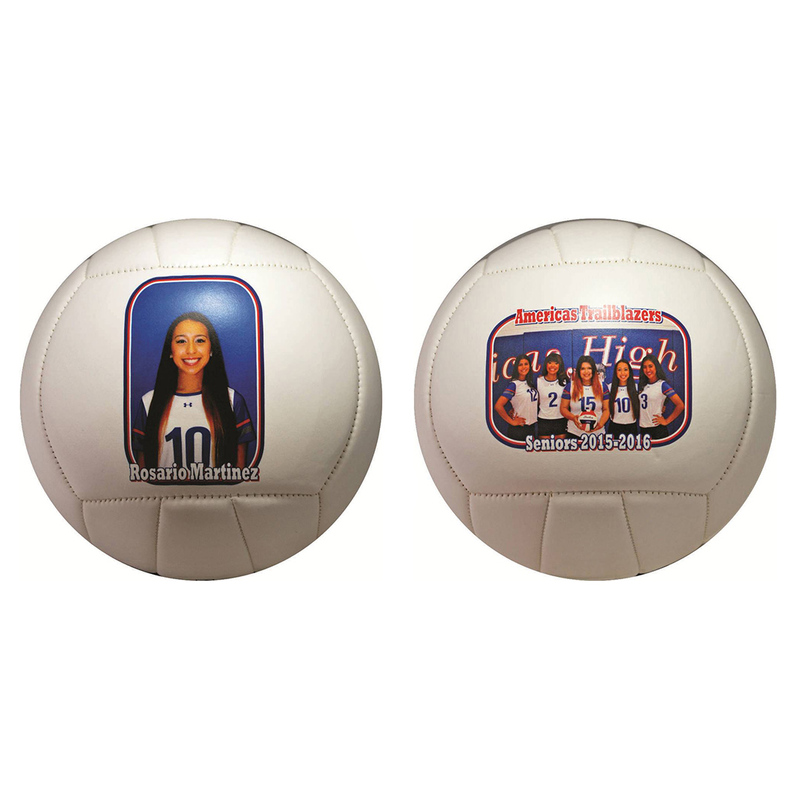 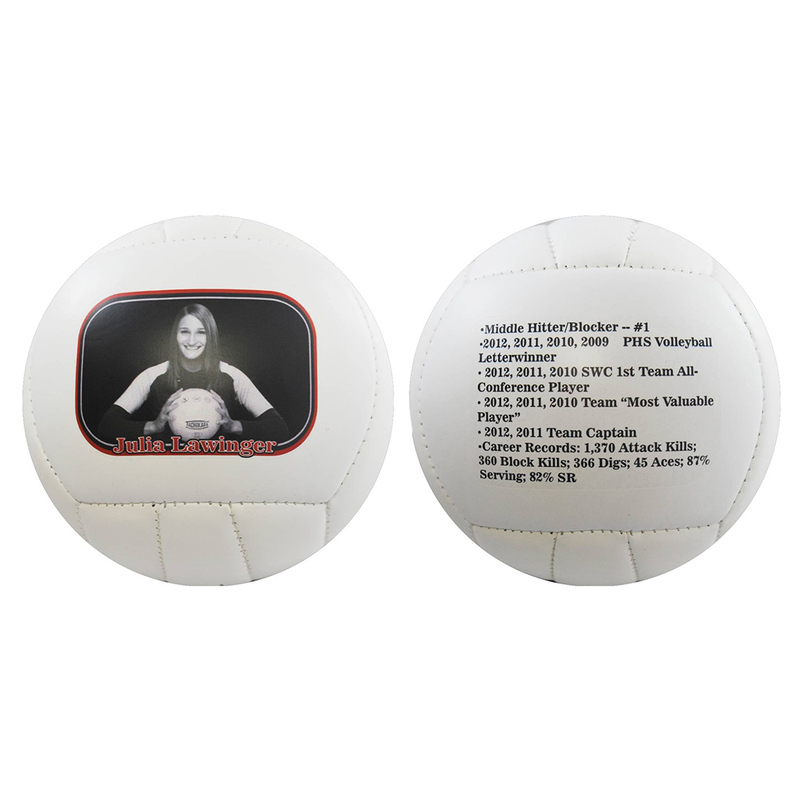 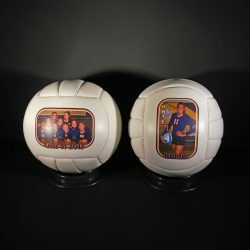 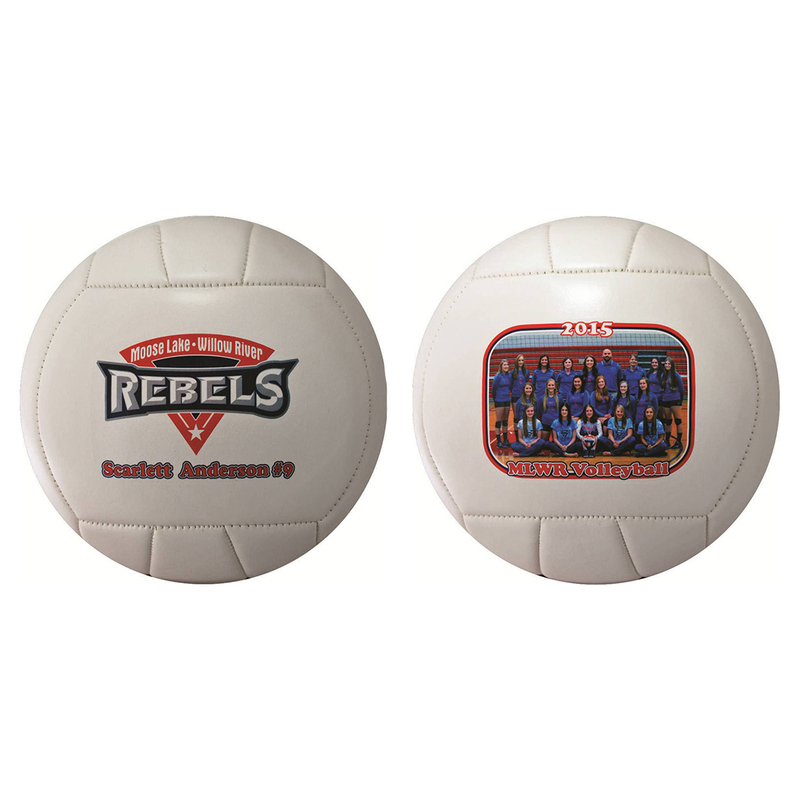 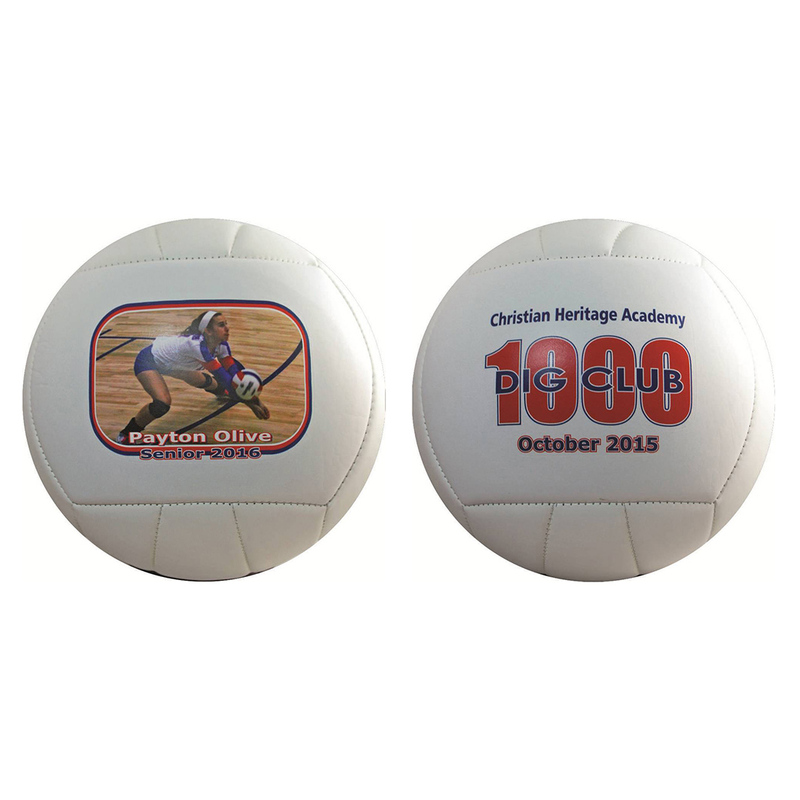 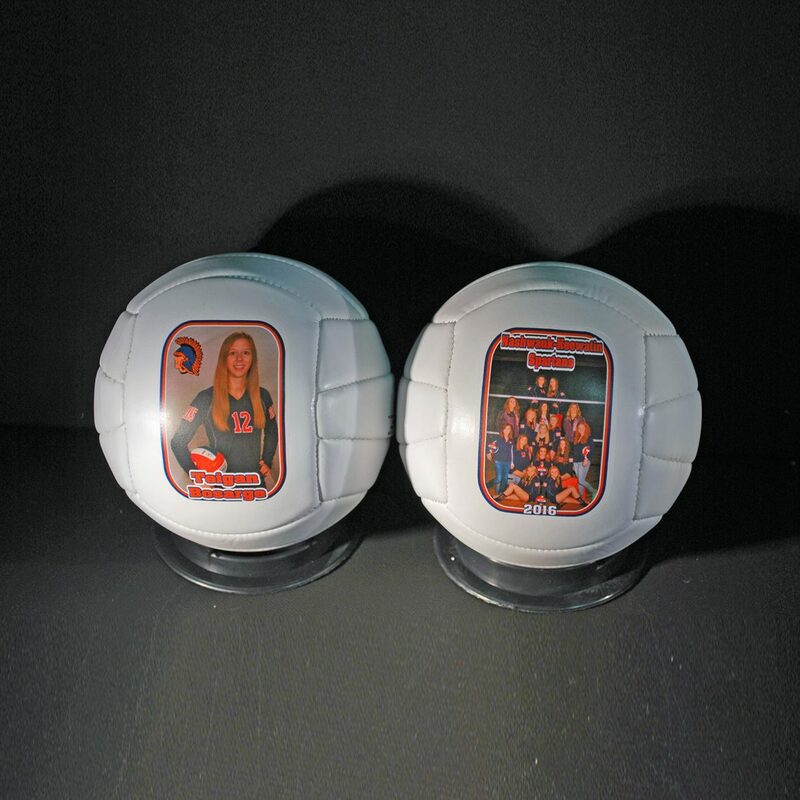 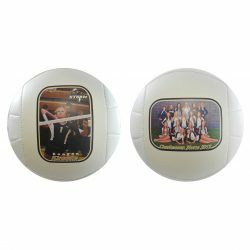 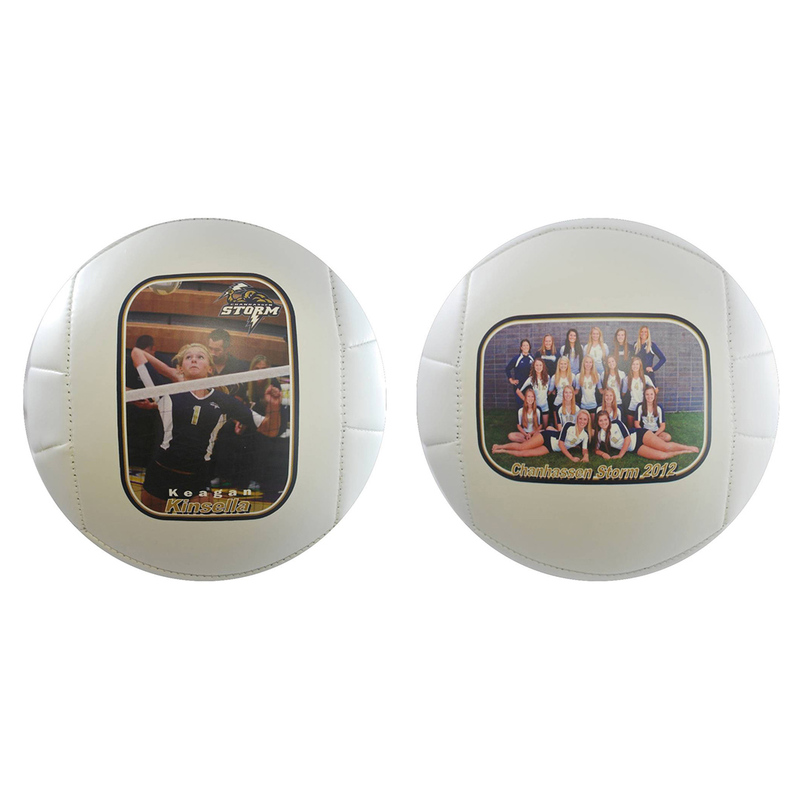 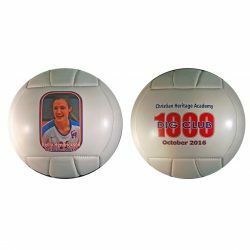 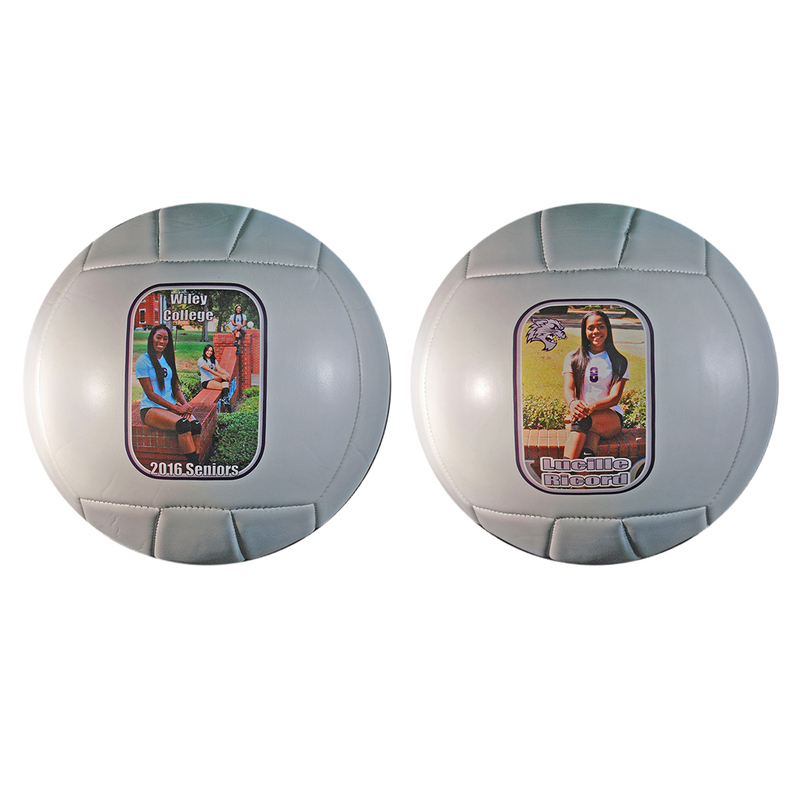 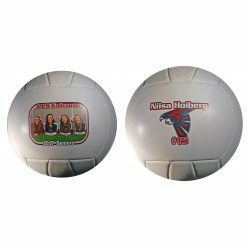 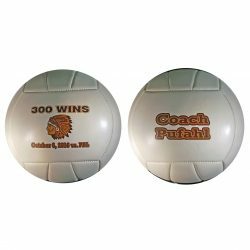 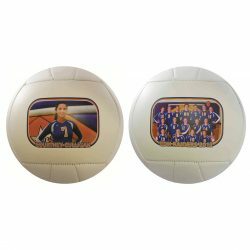 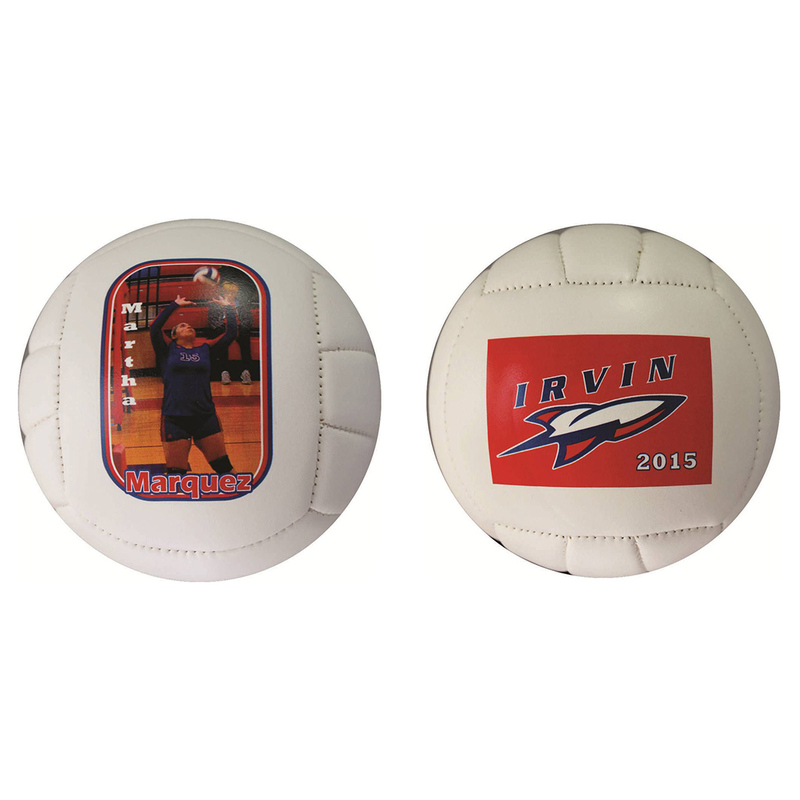 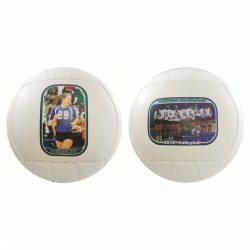 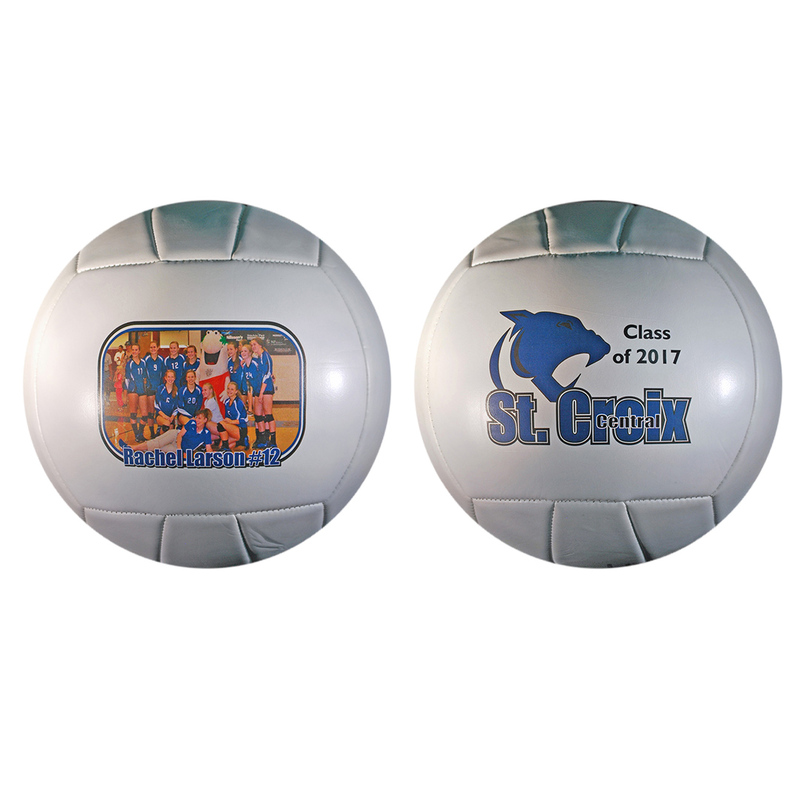 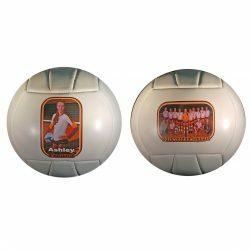 Quantity quote discounts available for both full size and mini size photo volleyballs. Call 763-227-9309 or email rick@photoballguy.com for team quotes.